(Natural News) You have to wonder if, at times, POTUS Donald Trump still thinks his decision to run for president (and then have the temerity to actually win) has been worth it, given the array of Deep State nefariousness that has been deployed against him. And you have to wonder as well whether those who made the journey with him still believe it was worth it, especially those targeted by the never-ending and always expanding probe of special counsel Robert Mueller. One of the individuals caught up in Mueller’s witch hunt is George Papadopoulos, a one-time, low-ranking policy adviser to the Trump campaign who has since been charged by Mueller with a process crime – lying to federal investigators, a crime to which he has since pleaded guilty. But there’s more to the Papadopoulos chapter than previously known: It appears that he was set up by Deep State operatives working on behalf of Barack Obama’s White House and exploited as a tool to hurt POTUS Trump and bring down his presidency. The Gateway Pundit reported that elements of the CIA and FBI worked in conjunction to set up Papadopoulos, probably because, as a younger man eager to make his mark in government, he was considered an easier ‘mark’ than more senior officials who’ve been around for a while. CIA and FBI assets Prof. Stefan Halper and Joseph Mifsud met with Papadopoulos in the U.K., and during the course of separate conversations told Papadopoulos that the Russians had “dirt” on Trump’s Democratic rival, Hillary Clinton. Eventually, that information (which was false, by the way) was used to entrap Papadopoulos into making a false statement, which he apparently did. So while his life has now been completely disrupted, Halper and Mifsud are still breathing free air because, of course, they’re Deep State assets. “It was all a setup,” TGP reported, citing documents from Papadopoulos’ indictment that show how Deep State actors used information only they knew as they spied on him and used him as a pawn. 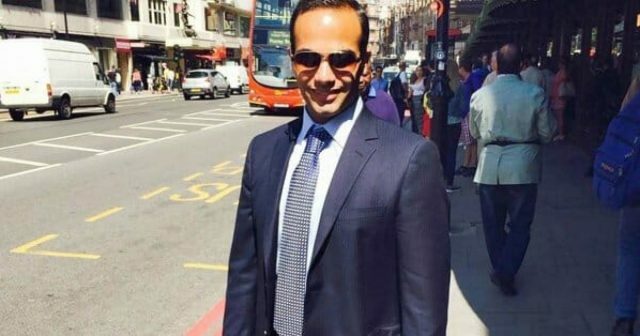 In a series of tweets, a user by the handle “Techno Fog” (“Lawyer / TRUMP / DMs always open”) laid out how the Deep State and Mueller played Papadopoulos. How the corrupt Special Counsel (Mueller) is prosecuting George Papadopoulos for giving statements that turned out to be true. Here's what George said: Joseph Mifsud was "talking up connections" and "BS'ing." That turned out to be 100 percent correct. But that was a problem for Mueller because he couldn’t have Papadopoulos telling the truth. So, the indictment says that what Papadopoulos claimed was a lie. To entrap Papadopoulos, Mueller could not rely on his true statement, so he instead focused on his alleged ‘state of mind.’ “In Mueller’s world, it’s a crime to tell the truth if you think the truth is a lie,” Techno Fog tweeted. Mueller's problem: the statement of @GeorgePapa19 proved to be true. As the indictment explains, the Russian woman set forth by Mifsud "was not in fact a relative of President Putin." Then Mueller claimed that Papadopoulos ‘interfered’ with Mueller’s alleged attempt to interview Mifsud, who many now believe was also spying to help set up the young Trump adviser. Finally, FBI agents asked Papadopoulos four questions in rapid succession, to which he simply replied “No.” Mueller called that a “false claim,” though it was true in regard to the fourth question. Mueller’s probe is bogus, and it’s been unleashed for one purpose only: As part of the Deep State’s goal of running POTUS Trump out of office. Read more about the diabolical Deep State aligned against Trump at Trump.news. This will eventually lead to a huge treason case involving totally unexpected people. Some will be hung. If my theory is correct Deep State goes back to the Kennedy assassination and runs very deep so to speak. Will the patient survive this cancer? Don’t know but it now hinges on Trump surviving and winning.